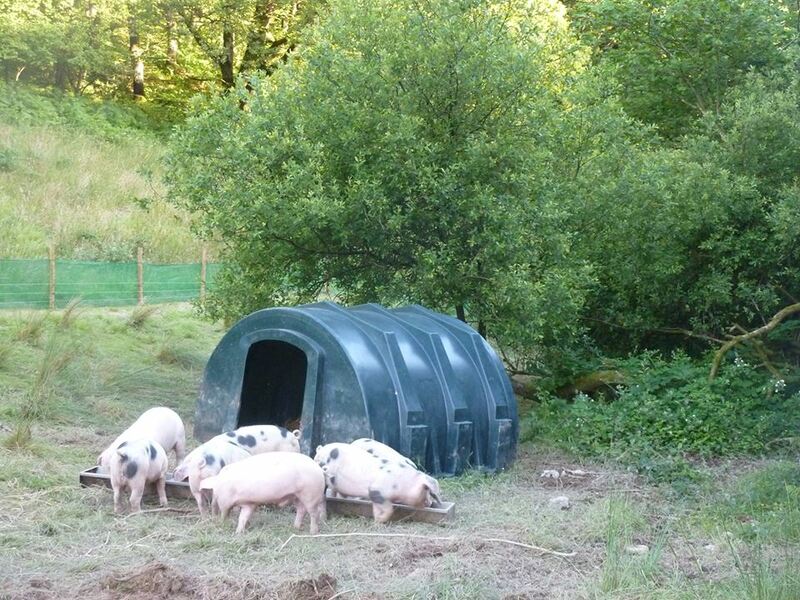 Rhosyn Farm is situated in rural Carmarthenshire, owned and run by Neil and Emma Rose. We are lucky enough to be living our dream since moving to Wales in 2006 leaving the city life behind us and have never looked back. We take pride in breeding our own stock, outdoor rearing in the most ideallic surroundings and giving our animals the best quality of care and attention during their time on Rhosyn Farm. Everyone is welcome to contact us for further info or advice and we would love you to come along and visit us so you can explore the farm and meet all the animals. Carmarthen Market every Wednesday, Friday and Saturday throughout the year. Rhosyn is famous for its award winning sausages, that come in a variety of flavours. For a full list of our raw meat products and prices please visit our website. Orders can be taken over the phone or emailed direct to rhosynfarm@gmail.com. At the markets & events we attend we sell our own produce freshly cooked and ready to eat. Our philosophy is to make the most of what we rear as possible. In addition to the finest selection of rare/native breed meat we also produce a variety of other items. More information is available on our website.